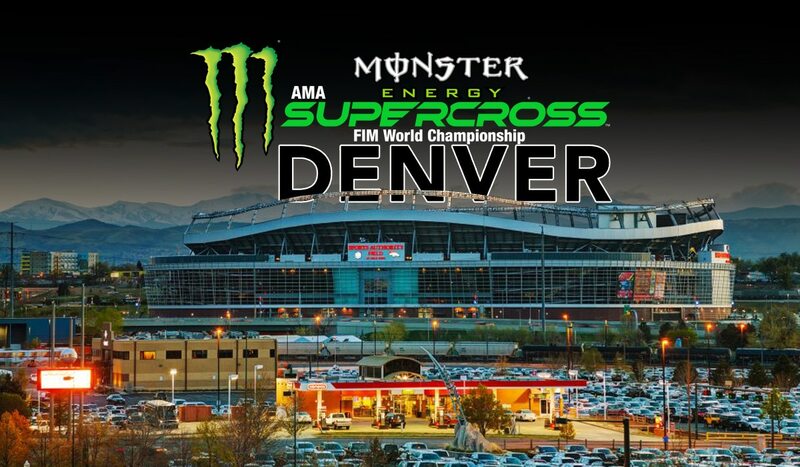 It’s been 23 years since AMA Supercross was in Denver. This weekend the racing will be in Bronco Stadium at Mile High, which is not the same venue where Jeremy McGrath last won. The original stadium was replaced in 2001. It’s still an open stadium, so the race will be subject to the whims of Denver weather. Right now, the forecast is for temperatures to be in the 30s. The man of the moment is Eli Tomac. He was the fastest rider in Nashville last week and he says he’s excited to have a race back in his home state. For Eli, 2019 has been an odd, inconsistent season, even by his standards. When he’s on, there’s no one who can beat him, but he’s only been able to do that on every third or fourth weekend. The man who has been both fast and consistent all season is Cooper Webb. In his own assessment, Nashville was one of his worst rides, and he still finished on the podium and left with a bigger lead in the points. There are three rounds left including Denver, and Webb’s 21-point cushion means the championship is his to lose. In theory, Tomac can still take the title if he wins all three and Webb finishes fourth in each race. Marvin Musquin is currently tied with Tomac, 21 points behind Webb. 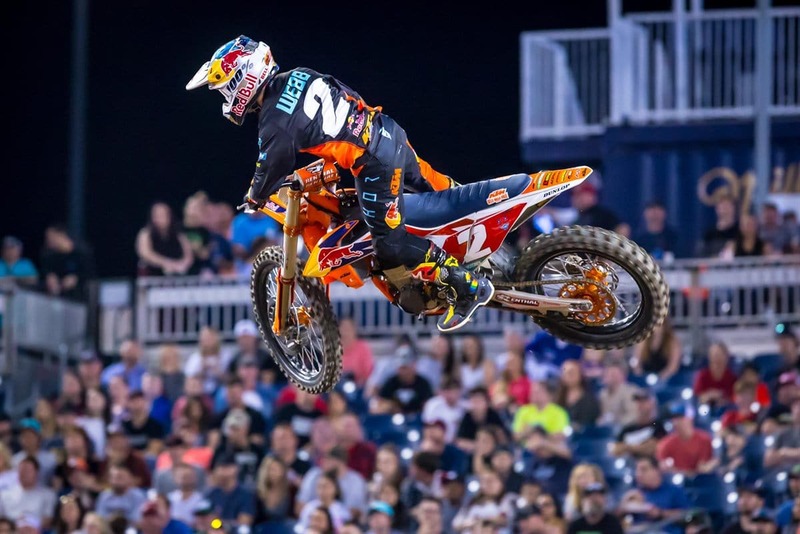 The drama between Cooper Webb and Marvin Musquin from Houston has died somewhat. The bar banging in Triple Crown Main number one was a little over the top. Later, Cooper owned it, saying he was frustrated and came just short of an actual apology. Marvin, on the other hand, is on the self destruct train. He has made costly mistakes in the last three rounds and surrendered what momentum he had. Webb, Tomac and Musquin are all healthy now, which is more than Justin Barcia can say. He is sitting out the final three rounds after a practice injury. That leaves fill-in rider Josh Grant to wave the Monster Energy Yamaha team flag. As is often the case at this point in the season, the injury list is long. Chad Reed, Aaron Plessinger, Justin Brayton, Weston Pieck, Vince Friese, Malcolm Stewart and now Tyler Enticknap are all out. 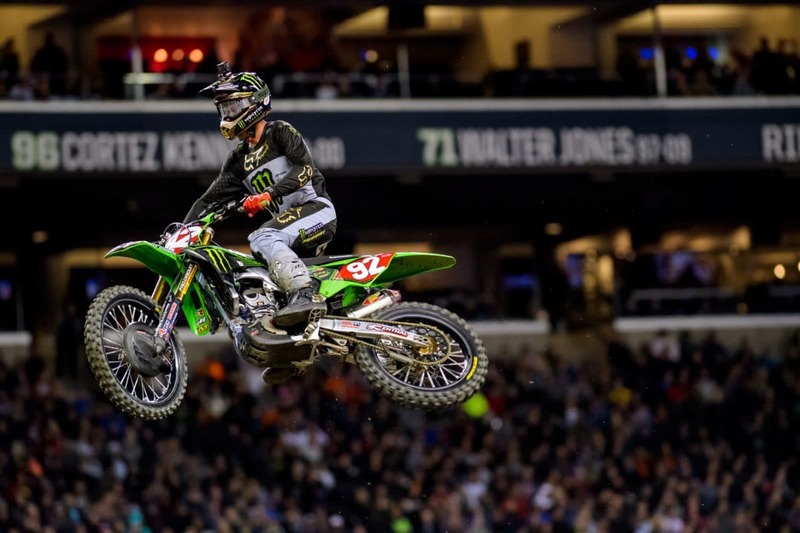 Joey Savatgy is said to be riding despite a shoulder injury from Nashville. 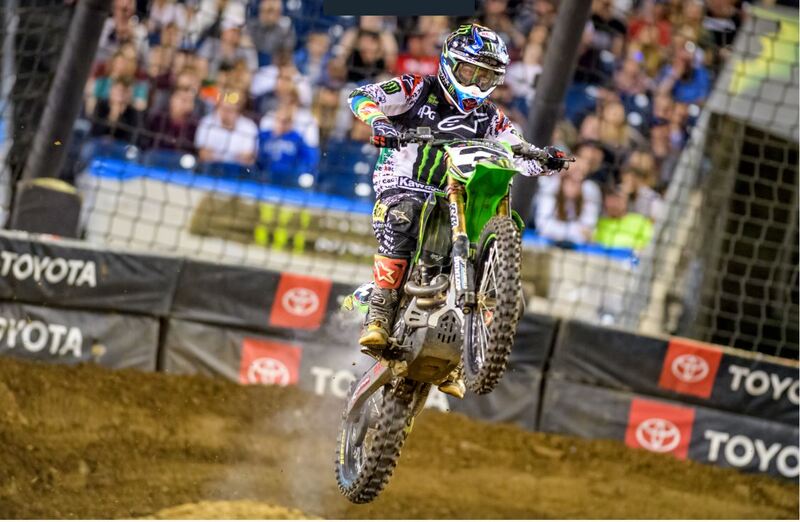 The big news in the 250 class from Nashville was Austin Forkner’s injury. He had been undefeated in the 250 East ranks, and now his status is unclear. He has another week to heal up. The east coast riders will resume racing in New Jersey while the Western Regional series takes to the track in Denver. Adam Cianciarulo still leads there, but Dylan Ferrandis has won two in a row and he’s only 5 points behind. The final race for both groups will be an East/West Shootout in Vegas. The racing will start an hour earlier than originally scheduled, with opening ceremonies at 5:00 p.m. mountain time. Prior to that, you can check out the results from timed practice here at www.dirtbikemagazine.com. The first qualifying practice will be the 250B riders at 11:35 mountain time.